What do they make? Handmade bracelets. Prices range from $5 to $15, and styled packs range from $30 to $70. What do they do? Each of their bracelets is handmade by Costa Rican artisans. They also donate 1% of their annual revenue to environmental organizations. Additionally, Pura Vida Bracelets has partnered with over 190 charities, having donated nearly one million US dollars. Why support? Pura Vida Bracelets are worn by millions of people around the world. Their artisan community has expanded from Costa Rica to El Salvador, India, and more. The company provides a steady income for over two hundred artisans worldwide. In addition to providing significant donations to nonprofit and charity organizations around the world, the company has donated more than $1.5 million to additional causes. 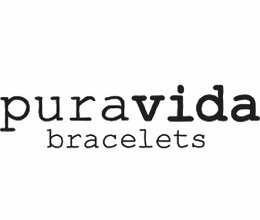 For more information about Pura Vida Bracelets’ story, visit their website.